As chief operating officer of the Denver Metro Chamber of Commerce, Holli Riebel is focused on keeping the Chamber and its four affiliates running smoothly and making it one of the best places in the Denver metro area to work. She oversees the organization’s $13 million annual budget as well as the membership department, the Small Business Development Center, the Opportunity Youth initiative and Chamber building tenants. Over her 22-year career in economic development, Holli has focused on building the metro region as a destination for businesses of all sizes and sectors and ensuring the region has a strong workforce pipeline. 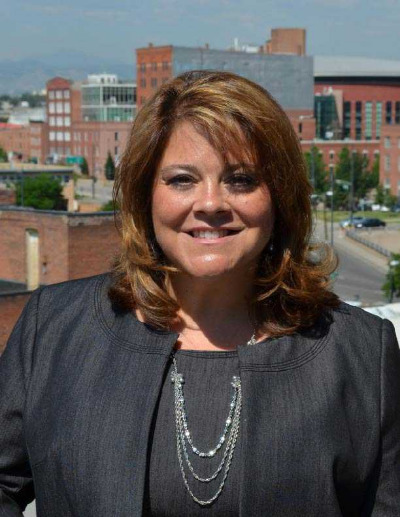 Her economic development experience includes time as the vice president of Chamber affiliate the Metro Denver Economic Development Corporation, the Jefferson Economic Council, the Governor’s Office of Economic Development and International Trade and the South Metro Denver Chamber. Before returning to the Chamber as COO in 2012, Holli also served as president and CEO of the Colorado BioScience Association. Holli sits on the University of Colorado Denver Business School Board of Advisors, the board of the Community College Systems Career and Technical Education System and was appointed to the Denver Health Behavioral Health Steering Committee. When she is not building the pipeline of tomorrow’s workforce, she enjoys playing in Winter Park with her family and friends.